Thumpy's 3-D Airsoft NEWS, What's Thumpy Up To? 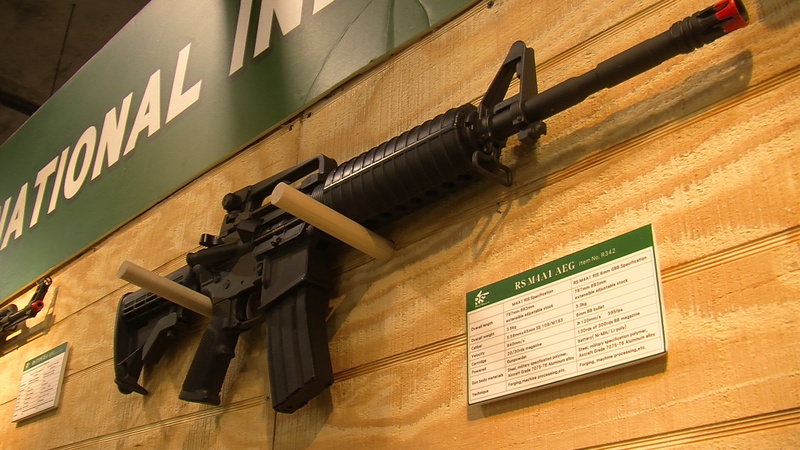 MORE of THUMPY’S AIRSOFT NEWS, AS SHOT SHOW 2011 is winding down to a HUGE FINISH! Thumpy’s SHOT Show Excellent Adventure sponsored by Big Boy Toys! Could THIS be the first BULLET-PROOF M-4...from REAL SWORD? OK, Airsofters of the World, the 50th Anniversary SHOT Show 2011 is winding down, but the announcements, the new products and the interviews are still coming on STRONG! Spotted at the show…OP Lion Claws GURU John Lu and “Angel #1”, Airsoft G.I.’s TIM SERGEANT…and a host of other players and media guys, like Dr. Airsoft, Rangemaster Larry, Airsoft Pacific’s Dynamic Duo, and more…all vying for spots at the INNOVATIVE PRODUCT DISPLAYS on the floor. OH, and THIS GUY, too…..
THUMPY IS FIGHTING THE COMPUTER BLUES…as tech issues have held back our video posts! But we ARE posting up TODAY, come Hell or High Water, and we’ll be doing some full recaps, “Seen & Heard Behind the Ropes” reports on some of the funny, poignant and just plain crazy stuff we’ve seen and done in VEGAS! 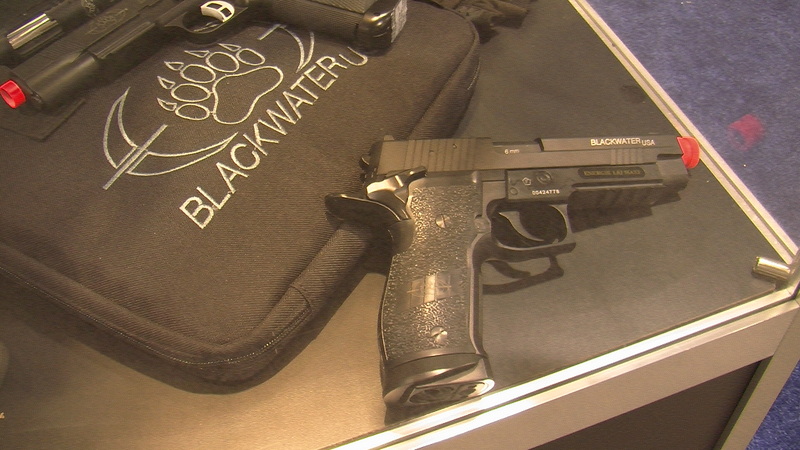 What Mega-Company has signed on OFFICIAL Blackwater Trademarks? Thanks for checking it all out…we had our best WEEK and BEST DAYS EVER at the 3-D House of Airsoft…HUGE numbers of engaged Airsofters who wanted to find out what-was-what at the SHOT Show, and for that we say THANK YOU! You’ve made it a BLAST…and you haven’t even see the GOOD STUFF YET! Previous Post THUMPY SHOT SHOW UPDATE #9…DAY 3 is OTW! Next Post THUMPY’S SHOT SHOW UPDATE #11…WE AMBUSH THE OPSGEAR GANG!